A few weeks ago at New Designers 2012 not only did I spot the amazing work of Jessica Hogarth, who I featured last week, but right next to her stand was the very talented Louise Tiler whose work also really caught my eye. 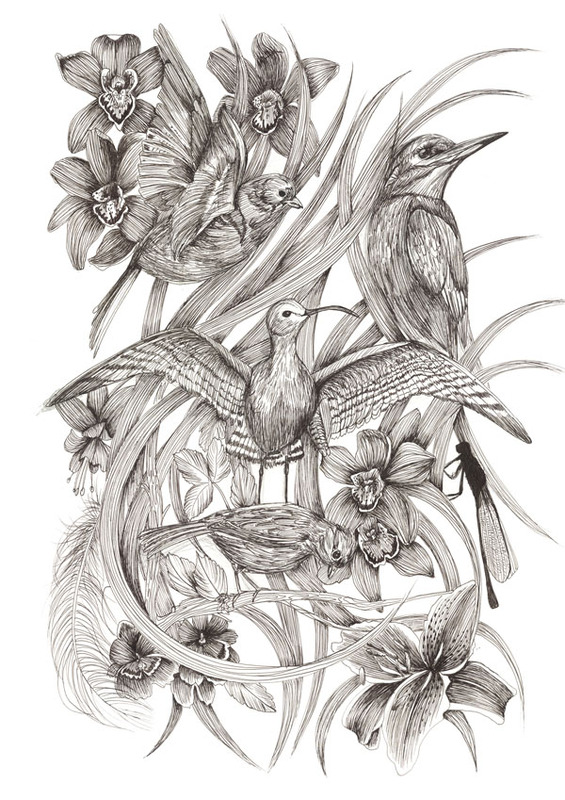 Louise is a surface pattern designer who creates the most beautifully intricate designs for home interior products, greeting cards and gift wrap. 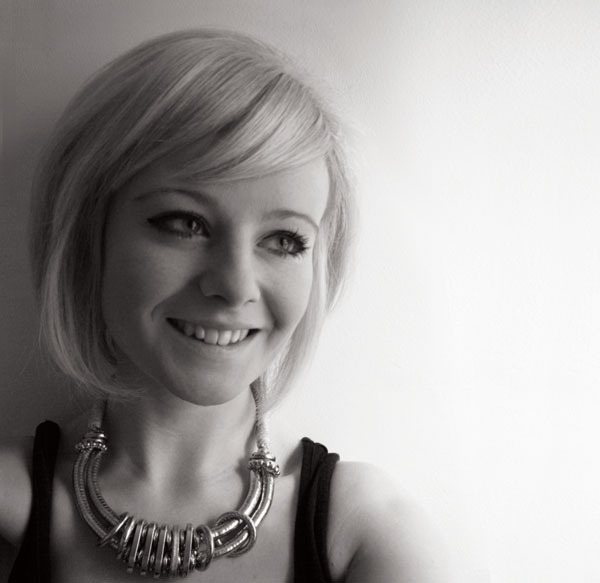 She has received both national and international recognition for her design work. In 2011 she was awarded Grand Prize Winner of Surtex Designext Competition in New York and was awarded BDC New Designer of the Year. Other awards include, Tigerprint online cards competition 2010, Winner of Prestigious Textiles Award and the Historical Textile Competition 2011. I was very happy when Louise agreed to answer some questions for me so that you guys could find out more about her and her beautiful work. You graduated from Leeds College of Art in 2011 with a First Class Honours Degree in Printed Textiles and Surface Pattern. Can you tell us a little bit about the course and the skills that you acquired whilst studying? LT. I really enjoyed my time at Leeds College of Art and learned the skills and knowledge to pursue my career in design. Leeds has an excellent reputation; it is well-known as one of the leading courses for printed textile design. Students from LCA have won many awards over the years including New Designer of the Year, awards from the Bradford Textile Society competition, Tigerprint Competition, SURTEX International Student Competition, Texprint and many more. The Patterned Textiles and Surface Pattern Course offers a wide variety of workshops. Students are introduced to printing methods such as screen printing, mono printing, etching, etc. as well as more modern processes like laser cutting. The college has excellent facilities – such as digital fabric and paper printers for wallpaper and textiles, which allows students to create professional-level design work while also developing technical skills, which can be taken forward into the industry. The students have the freedom to develop their own briefs and create professional finished designs for the commercial market. The tutors are very supportive and available throughout the course; they encourage students to think of themselves as young designers, not students, and to be the best they can be. LT. I really liked the facilities, tutors and the general atmosphere of the Printed Textiles and Surface Pattern Course. I felt that the standard of work was very high and would therefore help to drive my own motivation and design work forward. I really liked that the students were encouraged to apply for placements and work opportunities will studying on the course. The programme is well-connected to working professionals in both the interior and fashion industry and the tutors really emphasized the importance of practical industry experience. LT. I have always loved art and design. Being creative has always come naturally to me and I was very artistic even from an early age. Design has always been my passion and I’m happy to have a career doing what I love. I find it strange when people ask me about my job as I don’t see designing and being creative as work, even though it is my career, as it seems too enjoyable to describe it as my ‘job’. In 2011, you were awarded the BDC New Designer of the Year award and you were also Grand Prize winner of Designext in NYC. What did it mean to you to receive such awards and how has it affected your early career? LT. Winning both these awards was a dream come true and it had always been my goal to win an award such as New Design of the Year, but I never expected it to actually happen. I was delighted to win both these awards and it give me confidence in myself and my designs. These awards have really influenced my career and helped to generate publicity. I was lucky to receive job opportunities and meet people in the creative industry. The awards also supplied me with the funds and guidance to set up my business, which I may not have had the opportunity to do otherwise. You were at New Designers a few weeks ago in the One Year On section. What has happened for you since you first exhibited at New Designers back in 2011? LT. So many opportunities and things have changed since last year. I am now working for myself and often freelance for other companies. 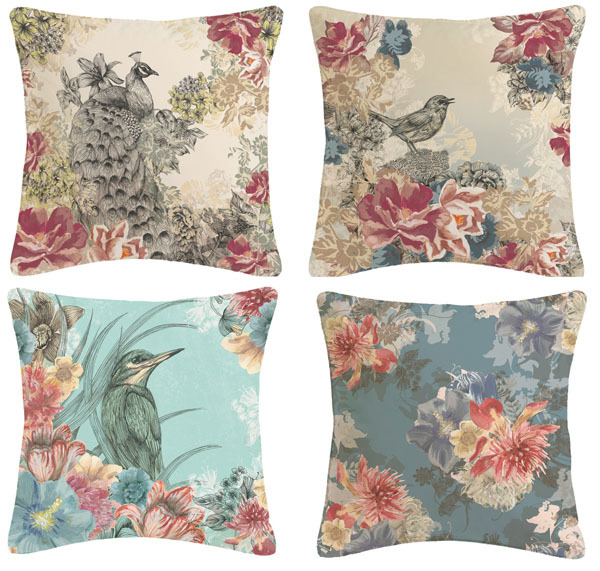 I started to learn to how to run a business and have created my own range of interior products and homewares including wallpaper, cushions and lampshades, which I sell directly from my website and to stockists. I also have a greeting card range with Woodmansterne Publications, and I design for many companies from fashion to interiors and I license designs for varies products including giftware, home accessories and stationery. 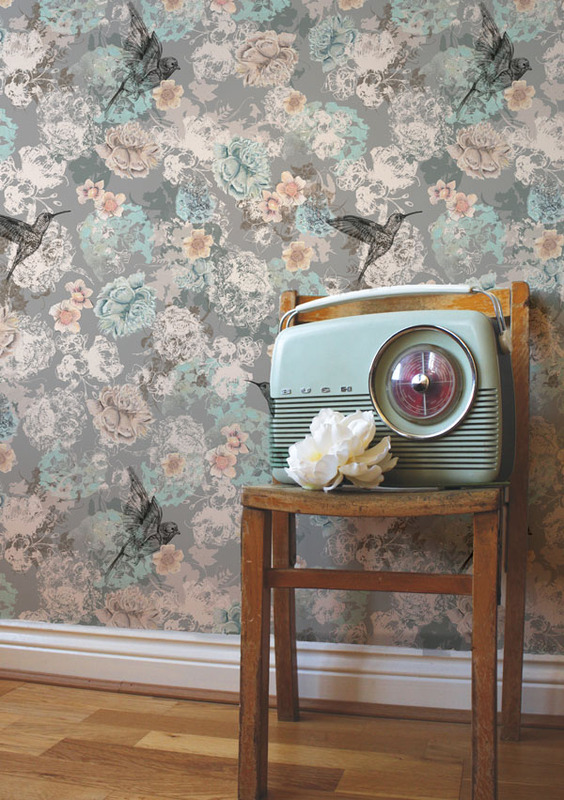 Can you tell us about your wallpaper range and your home interior products? 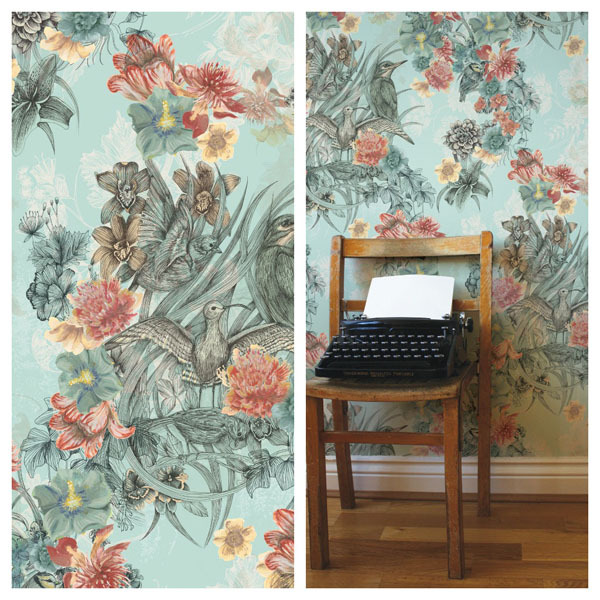 LT. All my wallpaper and interior products are designed using intricate hand-drawn and hand-painted prints and my work is inspired by vintage pattern and historical textile design. 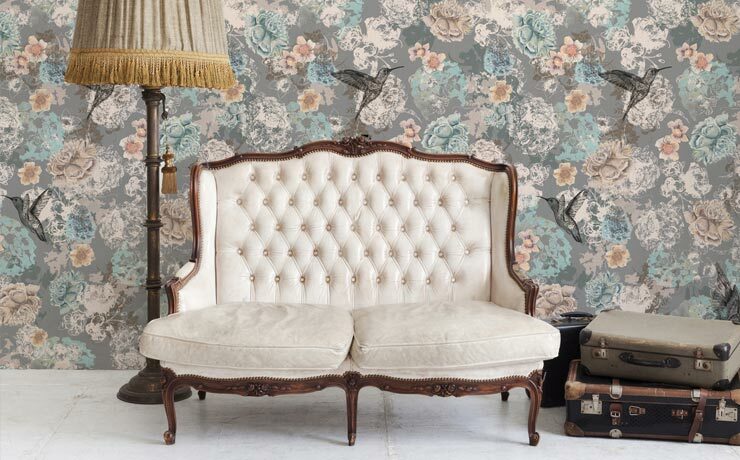 The award-winning wallpaper collection combines traditional hand-drawn techniques with modern digital processes to create vintage inspired, contemporary designs. 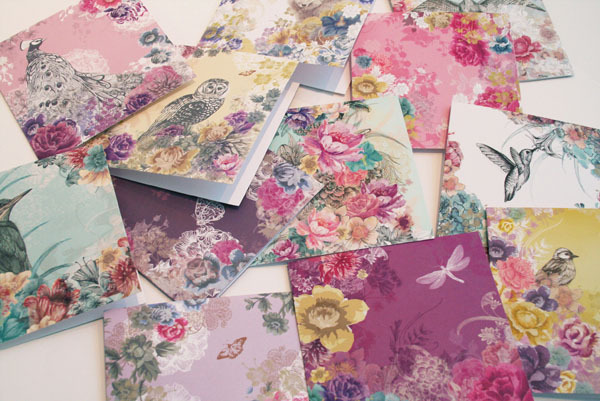 I am passionate about creating hand-drawn designs and all my products are made, printed and manufactured in Britain. Where do you get your inspiration for your surface designs? LT. My inspiration comes from a variety of places. 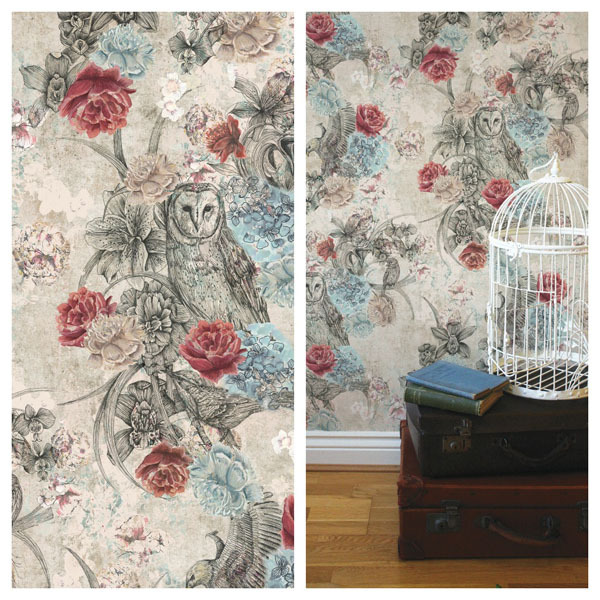 The main inspiration is taken from historical textiles and wallpaper designs often seen in grand English stately homes and the V&A. However, I am always searching through blogs, on the internet and in books for ideas. I usually select images because of their colour, design elements or layout to create a collection from which to generate ideas or concepts. All my drawings are generated from original photography or elements of historical textile design. What can we expect to see from you in the future? Are there any exciting developments on the horizon for Louise Tiler? LT. In September I will be exhibiting at Top Drawer in London, stand B97, and will be displaying my range of home and giftware. 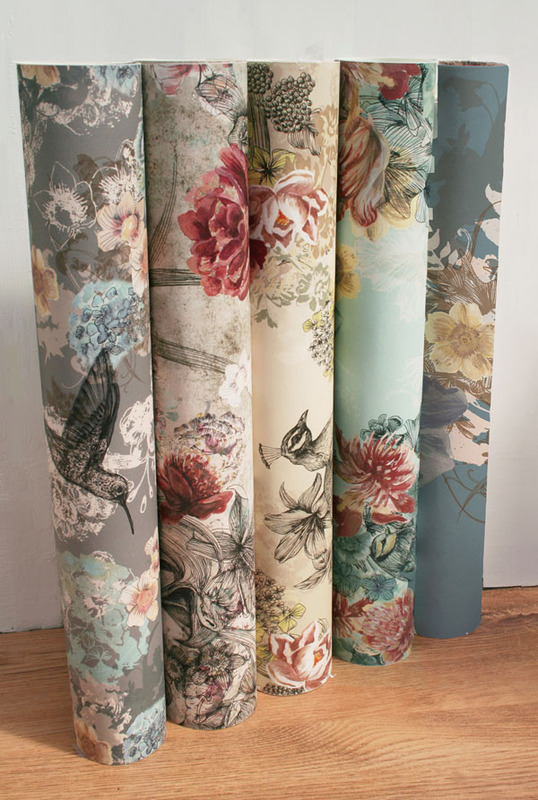 In the near future I am looking on creating a new fabric and wallpaper range but I am also interested in working on new products and licensing. My goal is to create a successful homeware brand and be selling in a large number of retail outlets and stores. I would like to thank Louise for agreeing to answer my questions and I am sure you will all join me in wishing her the best of luck with her business. Hopefully we will see her work in a store near us soon! 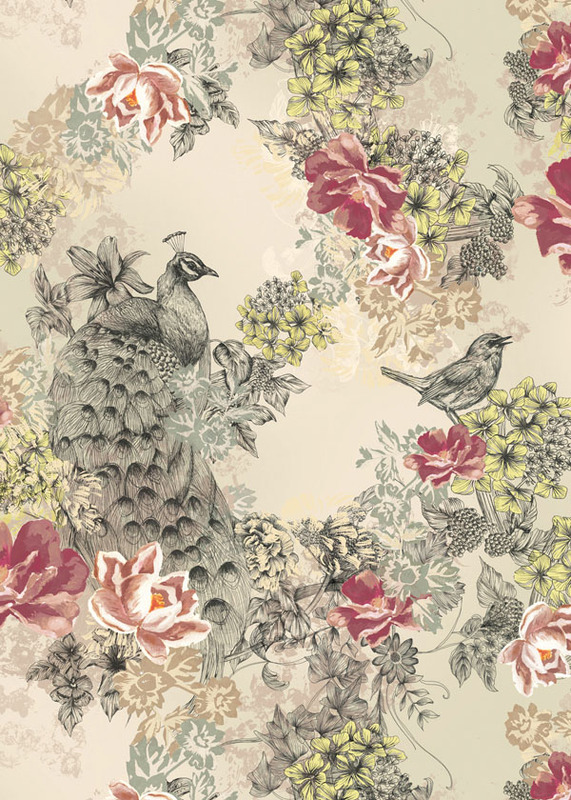 Outstanding vintage pattern and historical textile design! love them. I love these designs so relaxing! So lovely designs, I love all of it. Thanks for your comment Nancy! They are fantastic aren’t they? Lush designs! There are so many talented people out there!!! These are beautiful aren’t they Igor? I love the hand drawn elements.